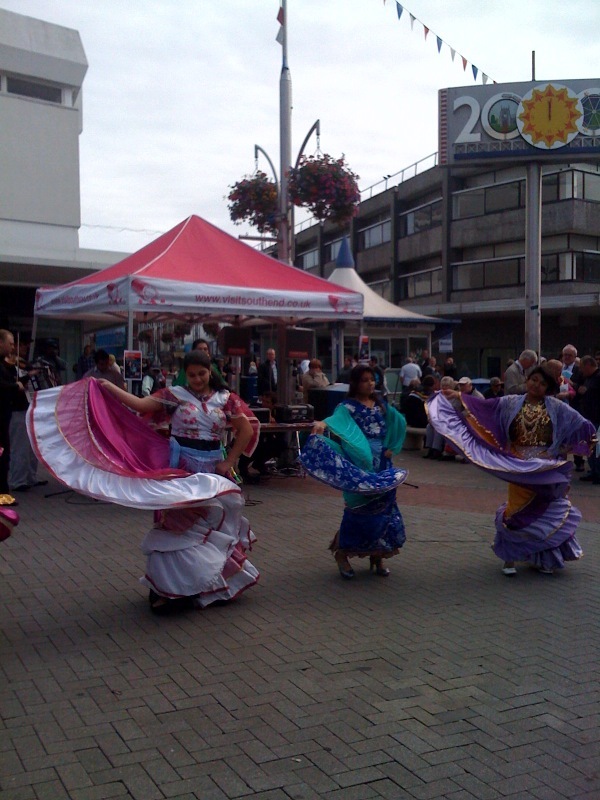 It was great to attend the festival launch of ‘Out of the box’ yesterday at Victoria Circus in Southend High Street where I saw singing and dancing from La Roma, a Polish Roma group. 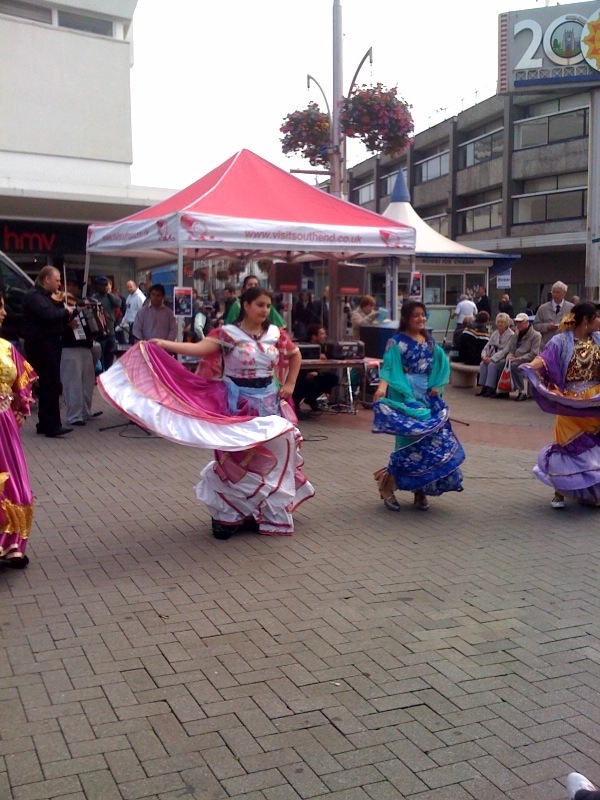 ‘Out of the Box’ is a festival that aims to bring together different cultures in the town. It is a partnership between Southend Council and educational organisations in the town. The festival (which coincides with Black History Month) includes different music, exhibitions, plays and talks. For instance there is a ‘big dance day’ at Garons Leisure Centre on Sunday 17th October where people have the opportunity to learn Zumba, Flamenco, Break dance, Salsa and Tai Chi. Other events include, family action day at the library where you can create masks from around the world. Samba drum workshops, High profile speakers such as Doreen Lawrence speaking at the Civic Centre, Victoria Avenue, Film nights at the Central Museum.